The Apple Watch was far and away the most popular smartwatch during 2015, accounting for about 51.5 percent of shipments, or 8.8 million units, according to a Jupiter Research estimate. By comparison, Android Wear devices made up less than 10 percent of the market, Jupiter said. 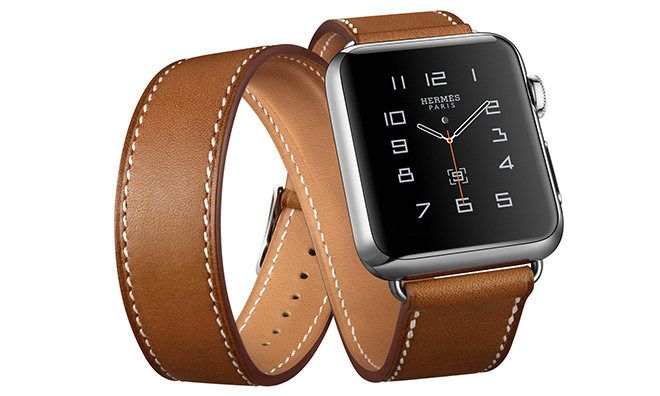 The firm calculated that including the Apple Watch, overall smartwatch shipments likely reached 17.1 million units. One reason for the Watch's popularity is thought to be the number of apps available. Jupiter noted that last May, whereas Android Wear had around 4,000 apps, the Watch already had some 10,000. Many people still don't see a reason to buy a smartwatch, however. Of the people who told Jupiter they didn't have immediate plans to buy a wearable, a full 30 percent said they didn't think they'd make use of it. Apple hasn't announced any official sales figures for the Watch, and estimates about the number of units shipped have sometimes varied wildly. The company will presumably try to make a better case for the product when it announces a second-generation device, something that could happen as soon as this March.